We build true, custom models of your financial life. 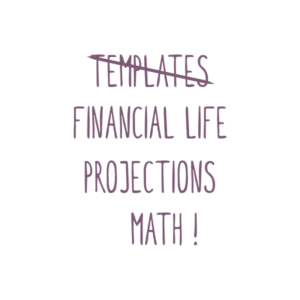 At Plum Street Advisors we build true, custom models of your financial life and base all of our investment and financial planning recommendations on projections supported by math, not based on selecting a generic “template.” That takes real work—and it delivers real value to our clients. we’ll create a Lifetime Financial Model. At Plum Street Advisors, we work with each client to understand their unique needs. We don’t fill out a questionnaire and assign you to a generic portfolio – in fact, we don’t even talk about investment strategy or “risk threshold” until we’ve built a comprehensive Lifetime Financial Model.  Our Lifetime Financial Model is a tool that projects the rest of your life in terms of income and spending. We put in the “known” variables and project the rest to build a financial model of your life. It’s a process that takes multiple meetings and hours of work. And, it’s not built on a template created by off-the-shelf financial planning software. It’s custom built—for you—based on your needs and your particular situation and updated as we continue to work with you. That’s why it’s so much work. 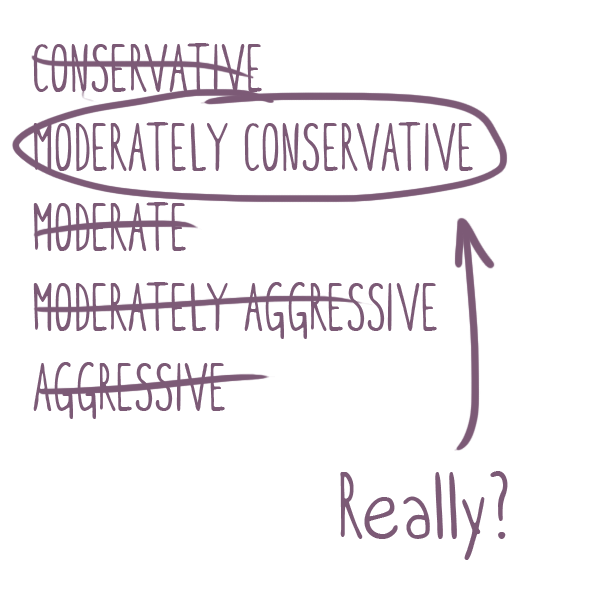 The Lifetime Financial Model gives us real substance behind the conversation about “risk threshold.” For example, a 50-year old with $500,000 in savings who anticipates using $100,000 to pay for college in the next 2-3 years and the remainder for retirement has two completely different “risk thresholds” for the $100,000 he plans to spend soon and the $400,000 that won’t be spent for many years. “Tailoring” his portfolio to a “moderate” profile completely misses this. At Plum Street Advisors, we’ll build these different financial goals into your investment strategy. We never ask our clients to trust our “expert determination” when it comes to financial planning. We show our clients the numbers and help them make informed decisions. Our Lifetime Financial Model doesn’t make specific recommendations, rather it calculates the financial impact of the various decisions and choices you are facing. For example, our Lifetime Financial Model can tell you approximately how much you need to save each year so that you can retire by age 62. Or it can tell you how much longer you might need to work if you buy that beach house. The power of this is that it gives you (and your spouse) the freedom to talk about financial goals as real world trade-offs with knowable impacts instead of abstractions. Our Lifetime Financial Model prioritizes the work we do around financial planning—which is typically at least half of the work we do for clients. Financial planning focus areas include topics such as family budgeting, insurance, legal, tax and estate planning. As a fee-only advisor, we don’t sell our clients any insurance products, and we aren’t lawyers or accountants, but we can advise our clients on what types of insurance products or legal and estate planning documents they should be looking at and refer them to great professionals who can complete the work for them in a directed and cost-effective manner. While we generally cover all of the financial planning issues with every client over the course of many years, the Lifetime Financial Model helps focus our work around the issues that are most pressing to your family now. 1. Two to four iterations of our Lifetime Financial Model. Sometimes we get it perfect on the first try and sometimes it takes a little longer depending on how many goals clients have and how much certainty they want in the results. 2. A specific investment proposal that is based on meeting the financial goals of the client as outlined in our Lifetime Financial Model. Any investment strategy would include target market allocations, risk levels, appropriate use of tax-sheltered accounts, asset location goals and specific fund recommendations to maximize diversification and minimize investor fees and capital gains taxes. 3. A review of the client’s existing retirement plans, such as work-based 401(k) accounts, and specific recommendations on which investment options best meet the client’s needs. 4. Assistance in establishing a budget based upon current income to meet the financial goals established in our Lifetime Financial Model. After the first 6 months, we look into more comprehensive reviews of legal and insurance planning, as well as estate and tax planning depending on the specific needs of the client. We typically meet with clients 1-2 times a year to review investment accounts and we meet as often as necessary to address specific financial planning issues. We’re also always available by phone or email. And because we don’t bill by the hour, you don’t have to worry about picking up the phone to ask a simple question.